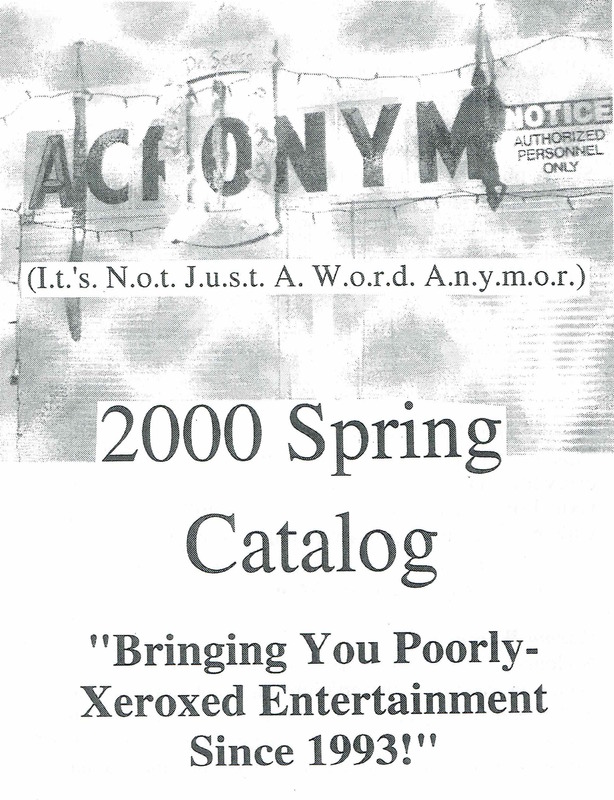 ACRONYM 2000 Spring Catalog (March, 2000) – ACRONYM Inc.
A collage-alog by Austin Rich. “Remastered” from high-quality scans of the source material. Pingback: I’d Buy That For A Dollar! #15 (May, 2000) | ACRONYM Inc.